5-day Liver Detox | eat. live. paleo. Sometimes you just have to throw yourself into a cleanse. David and I have been talking about doing a cleanse ever since we returned to New York from Stockholm… almost a year ago. Life just kind of plugged along, something always came up, or we always found some reason why not. But at some point you just have to jump right in and get it done. And so, finally, here we are. 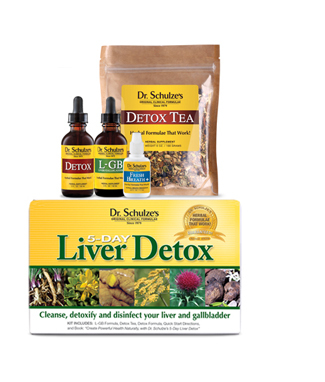 David and I have done a few cleanses in the past few years, all with Dr. Schulze’s detox programs. Lasting only 5 days, the detox is designed to be manageable for a working/busy/real person. There are 3 levels — beginner, intermediate, or advanced — depending on how much change you’re willing to make in your diet for those 5 days. We’ve always done the “advanced” program, during which you eat raw fruit and vegetable on the first and fifth day, and only diluted fruit/vegetable juices on the second, third, and fourth days. On all days you take herbal tinctures, tea, and a liver flush drink to flush out toxins, as well as a green drink for supplements and you drink a lot of water. What’s different for us this time around is that David is actually doing the “beginner” program, because he doesn’t want to lose body mass/muscle by fasting. I will do the “advanced” program, as usual. This is the first time I will be on the juice fast while David continues eating like he normally does (but not drinking alcohol, obviously). This will be a new detox experience for us as a couple — and a challenge for me to keep my food envy in check. We’re on Day 2 of the detox, I have begun the juice fast. Yesterday went fairly smoothly until dinner, when I ate a mango, a banana and some raspberries while David stir-fried an enormous quantity of chicken and vegetables for his dinner. No offense to the lovely fruits, but his dinner smelled better. I finally had to go into a separate room and read while he ate his dinner, because I didn’t want to watch him eat. Tonight, my dinner will be diluted orange juice, and maybe some diluted mango juice if I’m lucky and have a ripened mango (I bought a whole bunch of mangoes, but they haven’t quite ripened quickly enough — a detox prep fail on my part, I should have bought them a bit earlier to ensure ripeness). One more thing that’s different about this detox: this is our first detox since going paleo. It will be interesting for me to see if that makes any difference. In the past, I found day 2 and 3 the hardest, when I would get headaches and have a deep craving for a juicy steak. So far, no headaches, no cravings, although a steak sounds delicious.